Marty McFly goes to visit his old teacher Doc. Marty sees Doc’s house is in disarray and the dog missing. While looking around Doc’s home, he gets a call from Doc. When hundreds of Doc’s clocks go off, he is excited. His experiment worked and he wants Marty to meet him by the clock tower at 1:15 am. Marty meets Doc and learns that Doc has time traveled. Time traveling has been his dream for 30 years and now he has achieved it. Now Doc wants to go back to 1955 to see himself and everything that change. However, with gunshots on their heels, Marty ends up going back instead of Doc. Marty can’t believe he is back in 1955 but when he sees a newspaper and his parents, he knows it’s true. He even meets with 1955 Doc, who warns him not to interfere with the time line or his future will change. Marty is instantly concerned and thinks about the interactions he has had with his parents. Doc looks at Marty’s picture with his siblings and realizes Marty’s brother is disappearing. Marty concludes that he interfered with the day his parents met. Now he has to introduce them or be erases from history. Back to the Future is a fun ride into the past (and remember the current year for this film was 1985 a.k.a the future). This movie pokes a lot of fun at 1985, like joking that an actor was the president because of handheld video cassette recorders making him look good on T.V. But you must pay attention to all the tidbits like Chuck Berry’s search for a new sound or the future mayor’s chances on winning an election. It’s amazing how much the script writers paid attention to the past effects on the future. The clock breaking, George’s career, and Doc’s discoveries are all mentioned in 1985 but explained in 1955. 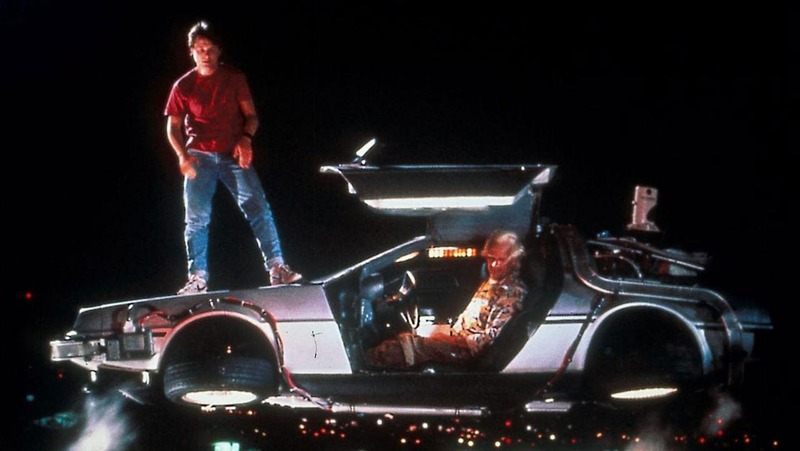 And just when you think everything is fine, Doc comes back from the future to warn Marty. So, bring on part 2. #KongSkullIsland – Review Repost – In Stores Now!! !